Bouchra Tahri, who has been a colour technician with TAZ’s Kingsway team since the start, is a favourite for all her clients (a great many of whom followed her here from her last salon). She’s good at her job because she loves it, full stop. Having attended George Brown College and kept her skills sharp with attendance at L’Oréal colour classes and various on-going refresher and trending education throughout the year, Bouchra prides herself on treating her clients to the very best in colour care. She’s been a colour technician for 20 years and has amassed an abundance of experience over the course of her career. She’s often called upon to prep tresses for photo shoots, salon style trend shows, charity events and competitions. Bouchra specializes in the preparation and application of natural and classic colours, and takes considerable pleasure in matching individual’s personalities to the hair colour most suitable therefor. Among the best parts of her work, says Bouchra, is cultivating relationships with clients. She welcomes the opportunity to meet the new challenges they ask of her professional gifts every day, and is grateful to be able to do so in the positive environment of the TAZ salon, where co-workers are friendly and customers are comfortable. 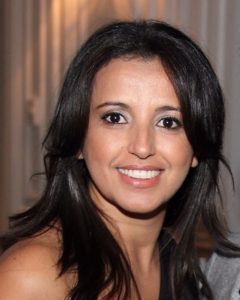 For their part, clients appreciate Bouchra’s professionally casual demeanour and her relaxed approachability. She has a unique talent for getting a handle on her clients’ needs – often, even before the have one — and she takes great pleasure in exposing them to new and colourful ideas that might not have occurred to them on their own. Indeed, opening a client up to the pleasure of change and watching her light up in response, Bouchra enthuses, is the very best thing she does every day.